Top Five Best Spiralizers For 2019 - Which? 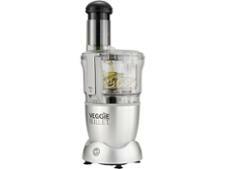 Our pick of the best manual and electric vegetable spiralizers for all budgets. Whether you’re a dedicated spiralizer fan or late to the party, finding the best spiralizer for making quick and easy vegetable noodles can be a minefield. We've seen models that break on first use, turn out scrappy, poorly formed noodles, or require Herculean levels of effort to produce a tiny amount of spirals from your veg. To help you get straight to the best spiralizers, we've pulled together our top recommendations - and the models to avoid. Whether you want a compact handheld spiralizer, a larger manual version or an electric spiralizer, we've picked out the best options for you. Just want to know which are the best cheap, compact and speedy spiralizers for a quick and easy dinner? We've got it covered. To compare all the models we've tested side by side, head to our spiralizer reviews or get straight to our top picks here. If you don’t mind doing the work yourself, this compact manual vegetable spiralizer is our top recommendation. 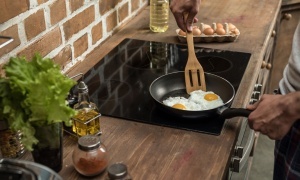 It makes beautiful, even fruit and vegetable spirals, and is also easy to use, staying put on the worktop and not needing too much force to operate. It comes with extra functions beyond spiralizing too, so it’s a versatile gadget. This spiralizer isn’t quite a Best Buy, but there’s still plenty to like about it. It struggles with some larger veg, but it does a great job of making courgetti quickly and easily. 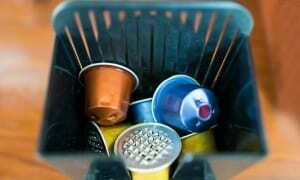 There’s little wastage, and it’s easy to clean, too. 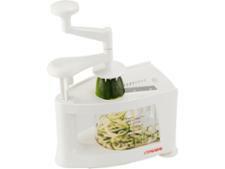 If you just want a quick and easy way to make small portions of courgetti as an alternative to pasta, this compact spiralizer is a good choice. 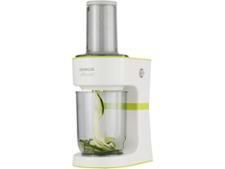 With courgetti ready in a very speedy 14 seconds, this electric spiralizer makes short work of your dinner prep. It also impresses with harder vegetables – potato also whizzes through the spiralizer in 14 seconds. It’s not all about the speed, though – it’s also is easy to use and makes great noodles. This smart manual vegetable spiralizer folds down neatly into a compact box, which is handy if you want to take it with you or keep it stored away between uses. It has four blades for thin or thick noodles, thin ribbons and ultra-fine noodles and makes excellent, evenly sliced strips. Not found the product for you? Browse all of our spiralizer reviews. Steer clear of these spiralizers to avoid disappointing noodles and aching arms - these models will have your tearing your hair out at dinner time. Low-scoring spiralizers are slow to make poorly-formed noodles that fall apart, and are difficult to use and hard to clean. This spiralizer is the lowest-scoring of all the models we’ve tested. It copes well with courgette, but other fruit and vegetables fail to come out in perfect noodles, take a long time to spiralize and a lot is wasted. Despite being electric, it also needs a lot of force to operate it, which somewhat defeats the point. There’s nothing particularly awful about this spiralizer, but nothing outstanding, either. 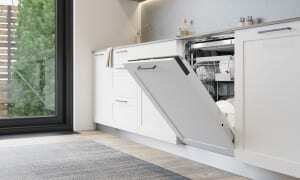 The vegetable spirals it churns out aren’t particularly impressive and, although it’s quick, it isn’t the easiest to use – it’s particularly difficult to clean and store away. You’d be better off with any other manual spiralizer that we’ve tested. This spiralizer makes decent noodles, but it’s so difficult to use it loses points. The instructions in particular are very poor, and you’ll have a hard time getting it clean once you’ve finished making your noodles. It’s fine for spiralizing courgette, but spiralizing potato will give you limp, curly ribbons. Some types are more versatile than others, or better suited to making larger quantities. See our spiralizer buying guide for advice on choosing the right type for you. If you’re buying a spiralizer, you want to be sure that it’s going to get a lot of use and not just sit in a drawer or cupboard gathering dust. Our tips will help you to make the most of your spiralizer and unlock its potential. The different blades on your spiralizer aren’t just a gimmick – they’re often the key to getting real variety with the foods you’re spiralizing. Although the blades often have different names from product to product, the choice usually refers to how wide or thick the noodle is. You'll usually get thin and thick noodle blades, or a noodle and ribbon blade. Some spiralizers name the blades after the kind of pasta they are trying to imitate, such as papperdelle, linguine or spaghetti. Thin carrot or cucumber ribbons can work well in an Asian salad, while butternut squash is a good tagliatelle substitute. Courgetti works well as a thick noodle, but you can experiment with the different thicknesses to see what you prefer. Look for spiralizers that score highly for their instruction manuals if you want clear guidance. We use different fruit and vegetables in our tests to reflect how you use your spiralizer, but you can also look at the scores to get ideas for your own dishes. Instead of courgetti every time, why not try making apple crisps or thin slices for a tarte tatin? Spiralized beetroot can really brighten up a salad dish, and you can make your own sweet potato curly fries or use shredded carrot for sauces and coleslaw. Check the scores for different foods on our reviews to find a spiralizer that works well across all the fruit and veg we tested to ensure it's versatile enough to handle a range of different ingredients. One of the main worries for using a spiralizer is waste, as often food gets stuck on the blades and a stump or core that can’t be spiralized is left over with some models. To reduce the wastage, why not save your core? The extra tasty bits of fruit and veg can be chopped up and incorporated into whatever dish you’re making with your spiralizer. 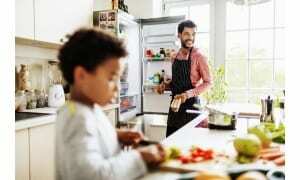 If you want to save it for later, you can cube the food and store in the fridge (for up to four days) or freezer. Add to stocks, soups and smoothies – or eat with a dip for a healthy snack. If you want the maximum spirals for your money, check our test scores for each model. Our food-wastage rating flags the models that have minimal unspiralized leftovers, so you don't have to deal with stray lumps of veg. Find out more about how we test spiralizers.